Can Moyes meet Man Utd challenges? The wait is over. Soccer devotees across Europe, strung out during the off season with only the scraps of transfer rumors and player sales to keep them sated, can now quench the pang of their addiction with weekly hits of league football. The German Bundesliga returned on August 9 with Bayern beating Borussia Monchengladbach, France's Ligue 1 saw nouveau riche champions PSG held by Montpellier on the same day, while Italy's Serie A gets going on August 24. The two remaining elite divisions of Spain and England kick off this weekend. There have been many managerial moves since May but the English Premier League has seen a fascinating shuffling of characters that now hold the reins at a clutch of the world’s biggest clubs. But the most important story in town has to be David Moyes taking over at Manchester United. Not just because the Red Devils are arguably the biggest club in the world in terms of fan base, not just because the side strolled to the title last season, but mainly due to the fact there is no European Champions League side that could boast the continuity of leadership and success that Alex Ferguson embodied. Fergie wasn’t just a manager: he built the modern club and forged its fearsome reputation. The challenge of managing the transition while also delivering continued success on the pitch has to be one of the toughest gigs in world football in 2013. The first hurdle has been cleared. United brushed past second-division side Wigan 2-0 in the FA Community Shield, the traditional season-opener between the FA Cup winners and the league champions, to seal their first trophy of the campaign. Next up: The Wayne Rooney saga. So far Moyes can be pleased with his performance. It would be my guess that Rooney is going nowhere unless one or two marquee names move to Old Trafford as replacements, and this seems wise. Rooney is a world-beater on his day and the task of reinvigorating him is far easier than replacing him, even if the Old Trafford fans have tired of his petulance. A bag-full of goals would surely solve that. Conversely, if Cesc Fabregas can be persuaded to leave Barcelona (the odds are slim, admittedly) and Leighton Baines can be prised from Everton, selling Rooney for $45m would seem good business. Moyes’ mantra should be "stick" unless United come off stronger, and he looks to be following that so far. During his time at Everton he was fantastically surefooted in the transfer market and it would be out of character for him to be blindsided now. The transfer window will shut in a few weeks’ time, and Moyes’ market mettle will have been proven or dispelled by September. Then there are the fixtures. Away to Swansea is a tricky first game. Michael Laudrup’s League Cup winners lost only four games at home last season and, with Michu and new signing Wilfried Bony leading the line, the Swans have strikers who could trouble any side. Moyes must then face Rooney's suitors Chelsea at home and trips to Liverpool and Man City before October. United under Ferguson were famously slow starters, picking up form post-January to peak in the run-in. Moyes will not have the same luxury this time around. Draws will be fine; too many defeats could sow seeds of doubt. Finally, he needs to manage the media. Famously predatory, the English press are salivating over the potential for headlines from Old Trafford. Bad news normally sells better than good, too. Moyes, then, will need to spin his narrative to provide headlines and copy that keep the press on his and United’s side. Despite criticism, my personal opinion is that the Scot has been solid in this regard so far. He lacks the flamboyance of Mourinho but he has projected an unruffled, man-in-control type vibe. One of Ferguson’s greatest assets was maintaining this under the greatest pressure; Moyes will be hoping he stands up to the test in similar fashion. The start of the English Premier League will be fascinating. Moyes will be hoping he can prevail through the challenges above and be around for many more opening days to come. Good read. Swansea will be a really big test for Moyes. One which United should win, but if they lose I can already see doubt beginning to creep into people's minds, partly because the media will make a point of mentioning it over and over again if such a thing does happen. Not that I think the United hierarchy will make any knee-jerk decisions, but the task ahead is a difficult one with many fans expecting him to pick up exactly where Ferguson left off. i dont thinks this season man united get league? i am from maldivian. Moye is tested and trusted. Jimmy is exactly right. There is a reason why Alex Ferguson handpicked Moyes – it was because he was tested and trusted in his track record when managing Everton, which manage to do respectably even with it's limited budget. American football is the only football I care to watch. I like watching people get blowed up from being tackled and get right back up for the next play. I don't like watching people fall down like they have been mortally wounded when they were never touched just because they want to get a call. American Football is not a sport dude it an abomination,1 minute of play and there all dressed as medieval knights,fat guys run in to each other and another guy throws a ball a long way and they stop again.Rugby is a man's game put these erm athletes and I use the term loosely in a Rugby match and they would cry after the first tackle,Moyes will do a good job and that's from a Spurs fan. Thanks for you comment Ashraf. Just to give you some context: I am an English writer who has lived, worked and played football in Britain my whole life. I hope to be international in outlook, if anything, as many of our readers are based in America as well as in other regions around the world. 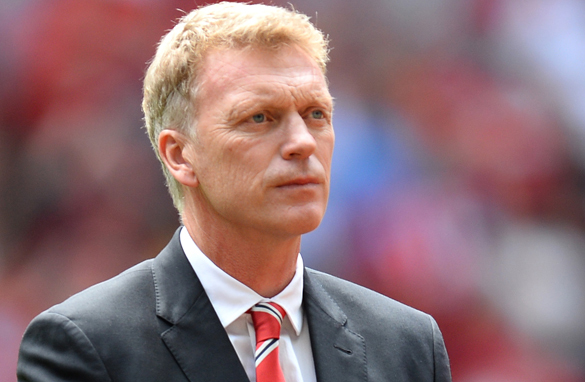 I do not believe that David Moyes will succeed at Manchester United. The standards have been set too high by his predecessor and the expectations from Manchester United fans will eventually be too much for him. With the greatest of respect for David Moyes and his 11 years at Everton, I believe there is a big difference between managing a mid table club with a limited budget while keeping them in the lucrative premiership compared to running one of the best clubs in world football. He has never managed a Champions League team and neither has he won a trophy while in England (unlike Martinez with Wigan, Rednapp with Portsmouth, Laudrup with Swansea, etc – all examples of smaller teams winning something). Honestly, it is all down to money – that's the fact! Moyes is someone who fits the perfect mould of a manager for the Glazers as he will not spend any money (primarily) and he is very non controversial (boring). The Glazers have riddled the club with enormous debt and year after year, Manchester United have sold their best players without reinvesting the money. Even though the club claimed to have a bountiful transfer chest (highly unlikely), Sir Alex bemoaned that there was 'no value' in the transfer market in recent years but in order to get quality you have to pay top dollar. I think it is just a matter of time before David Moyes loses his job at United. Granted they beat Swansea on the opening day but there are sterner tests to come. The transfer policy this summer has been a shambles with the bumbling Ed Woodward and Moyes' lame excuses and his inability to attract players unlike Sir Alex (when he was still there United had a chance of getting players who would want to work with him). I could go on and on....but enough now. It looks too early but it is real. Tomorrow is a big testing time for Chelsea and Manchester United. All the best to Senhor Jose Mourinho and Mr. David Moyes.